Burger and souvlaki shop! So excited to try their souvlaki since I love greek food so much! The bread it self was nice, the pork meat inside was a bit thick. 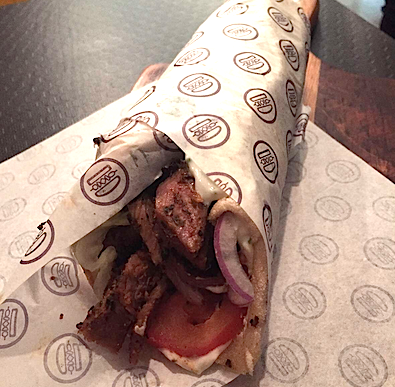 I was expecting souvlaki meats to be very thin and crispy. The tzatziki was nice but need some more flavour. They were really generous on their meat and veggies. The place has limites seatings and all smoky inside.